The OmniPlayer installation for Elemedia includes 33 OmniPlayer Production workstations and 54 OmniPlayer On Air workstations. OmniPlayer is managing from a high availability system content for three stations in Rome and Milan including the regional studio’s in Torino, Oltremare and Riccione. OmniPlayer will also manage the automatic recording, encoding and distribution of the podcast channels for Radio Deejay, Radio Capital and M2O. The solution is provided to Elemedia in partnership with Milano based BVMEDIA Broadcast Solutions. 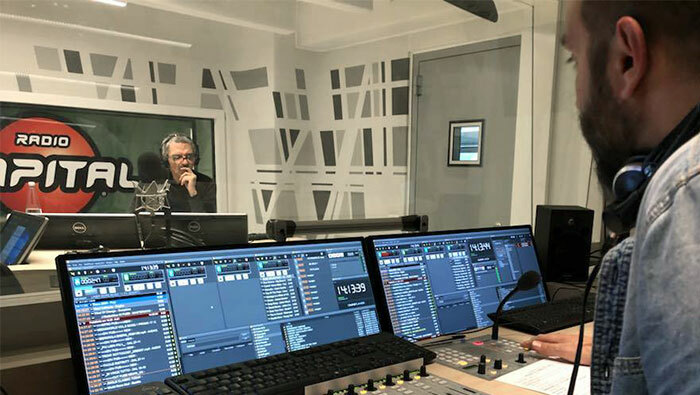 Part of the installation is RemoteStudio for permanent synchronisation with regional sites and the new integrated SmartTrack multitrack audio editor which also can be used as a standalone audio editor for journalists. With native mixing of formats and resolutions and its comprehensive range of codec support, SmartTrack makes it very easy for journalists to work with multiple tracks and real-time transitions. Peter van Klei, CCO at M&I Broadcast Services: “We are very proud that Elemedia has chosen OmniPlayer as their core system for production, scheduling, publishing and playout. OmniPlayer is used by a vast majority of Dutch national, regional and local radio stations and we are dedicated to continue to build on this success”.